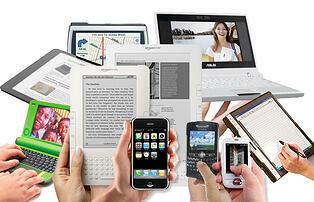 Right now BYOD (Bring Your Own Device) is all the rage, especially in education. Schools all over the United States are implementing BYOD solutions and reaping fabulous benefits like cost savings, increased engagement, and personalized instruction. Of course the list of benefits doesn’t stop there. I could go on and on about all the great opportunities BYOD has to offer students, but none of that matters if you don’t have the fundamentals in place. For a successful BYOD solution you need 2 fundamental things to get started, the right school wireless network infrastructure in place and a well-planned BYOD policy. For more information on the wireless network infrastructure part check out this blog post “BYOD in schools: 4 Key Wireless Network Infrastructure Requirements”. But, today I would like to cover the BYOD policy part. Below is a list of 7 tips you should use to create your schools BYOD policy. It’s important you describe the reasons your school chose to implement a BYOD solution as well as the program goals. Although your students may be excited, you may still have some leery parents and educators that need some extra convincing. Stating all the benefits, reasons and goals upfront is a good way to start any BYOD policy. You will need to also state which devices you will and will not support. Decide what the minimum device requirements are and why. Be specific and state why you chose to support certain devices and exclude others. Let your users know what to expect before they bring in their devices. Determine what you think your IT staff will be able to handle in terms of support. You may decide to require your students to cover all the support and maintenance themselves or offer your IT staff up for certain small issues. Whatever you decide be specific so your IT staff isn’t completely overwhelmed. BYOD is a great program, but inevitably students’ mobile devices will get lost, damaged, or even stolen while on school grounds. That’s why it is important to state who is responsible for what. Let users know in advance so when the issue arises they know what to expect and you can avoid any possible disputes. You can create all these great rules, requirements, and expectations, but you need to have every single user sign the written agreement to seal the deal. This includes all teachers and staff and well as students and maybe even parents. Having the written BYOD policy acknowledgement agreement signed can save your rear if any issues or disputes arise. 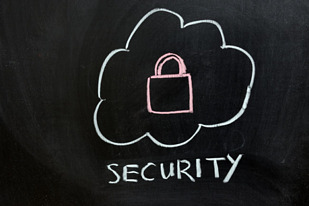 When it comes to security there’s a lot to consider especially in education. 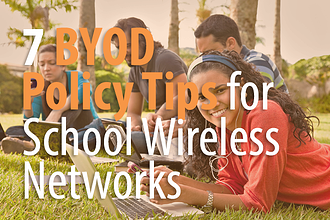 Obviously you will have to determine the minimum BYOD security requirements for devices to be allowed access to your schools wireless network. Every user needs to know the acceptable use policies as well as the consequences for breaking these rules. This is where you should state that the devices are to be used as learning tools, not for entertainment. Describe what users are and aren’t allowed to access while on schools property. Also determine the consequences of breaking these rules and list them as well. Be as thorough as possible to make sure everyone is well-informed and knows exactly what to expect. 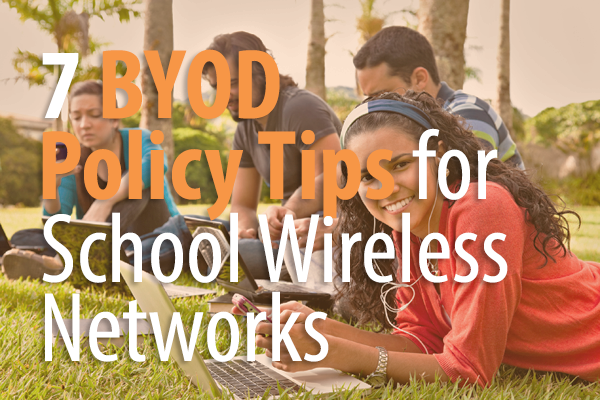 Use these tips to help create a well-planned BYOD policy for your school wireless network and get the most out of your BYOD solution. If your school is considering implementing a BYOD solution and you have any questions or would like a free consultation, please contact us here. We have helped schools all over the country and are always happy to help. Our goal is to be a resource to you.